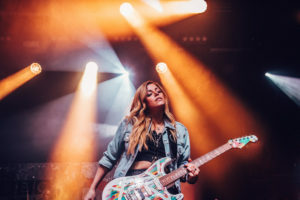 Kristian Bush & Lindsay Ell: We chat to one half of Sugarland about their new album whilst the Canadian guitar-hero spills the beans on her next release! friend of Lindsay Ell but he produced her debut album The Project. We caught up with them both in Manchester before their final show on the run! It’s been a bit of an awesome weekend really with C2C and now this tour afterwards. How much have you both enjoyed being out on the road together? Lindsay: It’s been one of my favourite things. These past two nights have been the first time we’ve done this sort of arrangement and I feel like it’s the most exciting musical experience that I’ve been a part of! I just feel so free and so inspired and willing to create onstage. The format of these shows is so fluid that Kristian or I don’t have any idea what the next song is going to be! We don’t make a setlist and we don’t know the set song that we’ll call for ourselves let alone the other! It’s been very exciting. It must be cool as you two have worked on the album ‘The Project’ together and presumably already have a bit of a creative connection. Is it like bringing the studio out on the road? Kristian: Haha! That’s a really good way to say it. I think that there’s a certain amount of trust that you build when you make an album because you get to make mistakes in front of each other and that’s a very powerful thing, I think it bonds people. In a lot of ways it’s probably the same with the audiences that are watching us because we kind of disclose to them that the chances of mistakes are pretty high! There’s a little bit of a hero journey where, if we pull it off, we’ve all just done something that will never be repeated! I think that’s cool! Lindsay: Yeah, absolutely. We’re changing up arrangements of songs, throwing other songs into the middle of songs, it’s pretty much anything can happen at any given moment. We feed a lot from the audience on the way to navigate the next step! We could have a supergroup building here! Kristian: Haha! I’ll tell you what it’s sure building muscles and confidence! Obviously, we had C2C last weekend and you both did your own things. Firstly, Lindsay social media has been buzzing about your performances. How pleased were you with the reaction that you got at your first shows over here? Lindsay: Mark, it was crazy! It was my first time playing the O2 and it just baffled my mind! UK fans are unlike any other fans in the world, they’re so passionate and they appreciate songwriters and musicians so much and you feel it! Onstage it feels different as a performer! The minute that the main stage finished in the O2, people rushed to the spotlight stage for the act playing the ten minutes in between the main stage act and I’ll tell you that does not happen in other places! If you’re playing during the set change on the main stage, people do not care about you! They’ll go and get a drink, they don’t rush over to watch your ten minutes! I felt so loved and it was a really really cool moment. You had a real guitar god moment up there! Lindsay: Yes it was definitely a bucket list moment, I definitely sent my Mom a selfie from the stage and I have to say, it was just a magical weekend. I got to see Sugarland play their first set of shows in six years! That’s what I was going to ask, Kristian. Was it nerve wracking? Obviously you’ve played hundreds of shows before but having been away and coming to the UK to do it is different! Kristian: Oh yeah! That’s kind of the excitement of it anyway. Especially if you’re out at these club shows, you start to understand that there’s a great joy in taking big risks. It does have a down side but as long as you’re willing to make a mistake I think you’re also willing to succeed. Arenas are interestingly a place that Jennifer and I seem to be comfortable in when trying to communicate with huge numbers of people. We write songs and perform that way, doubly exciting is that it’s kind of not about us and it’s about the crowd. What was the thinking behind playing these comeback shows in the UK? Kristian: Part of it is just timing. It was the first set of shows. We literally finished our record maybe two weeks ago and had been working non-stop on that so this would have been our first opportunity. Secondly, I think the thing that is so attractive is that the UK has learned about us separately. We though there’s no better place to start than people who are not aware quite yet of what we do together. It must be a nice feeling of coming full circle for you. You were the first act to ever play C2C with your solo band, you played the C2C Social and now you’re back with Sugarland? Kristian: You know, I really believe in country music in the UK. It’s something that I spend a lot of time, whether I’m a presenter on BBC Radio 2 or even hosting songwriter nights, I think that it’s the right thing to be doing because there’s so much music in American that is considered country music that has so many different flavours, sounds and experiences, so to share that and be part of it and a guide for it, certainly to be the testimony of what it can be, I will bring every resource that I’ve got to bear including Sugarland! We hope that’ll go on for a long long time. I really enjoyed Southern Gravity so hopefully we are still going to see some solo stuff from you? Kristian: Absolutely! It’s funny, I finished my second album right at the exact time that I got a phone call! We’ll go one at a time for just a little bit but you should keep your ear to the ground! I certainly will! Just moving back to your album, Lindsay. I’m in quite a privileged position here, for the first time ever, to be able to interview the artist and producer of an album at the same time! There’s a story that I read about you recording John Mayer’s Continuum, one of my favourite records, before you headed into the studio. How did this come about and can I have a copy?! Kristian: Haha! Which one do you want to answer! 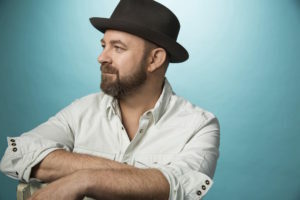 Lindsay: So Kristian Bush has changed my life over the past year and a half, as a musician, songwriter and singer. He’s helped me see myself in a different light and a lot of that was in the eight months or so that we were throwing songs at each other and writing and figuring out the record. He gave me a homework assignment where said “what’s your favourite record of all time?” That would be Continuum by John Mayer, he said “perfect. Your rules are, you have two weeks, you need to play all the instruments and you need to do it by yourself in your studio at the record label. Go.” I kind of look at him not understanding why he’s asking me to do it but I clear my schedule and 8am to 3am for the next 14 days I’m working around the clock to get this done! I didn’t know the amount of work that would really go into picking apart music that you think you know! When you really have to dissect Pino Palladino bass parts and Steve Jordan drum parts, even guitar solos that I’ve played before, when you need to recreate them in your own voice you have to take it to a different level. Ding ding ding ding ding! The mastermind himself, hence the sense in the whole homework assignment! Two weeks later I handed over The Continuum Project, as we called it, I just learned to much about the way that John Mayer plays guitar, how I play guitar and how I love to hear a band in a studio. It was the coolest thing that I’ve ever heard a producer ask an artist to do. It made me see myself in a different way and made all of the gears click. I’m very excited to say that we loved it so much that we do want fans to hear it! The past few days, we’ve been listening to mixes and I don’t have a for-sure date but I can say that we’re going to be releasing it very soon! Fantastic news! 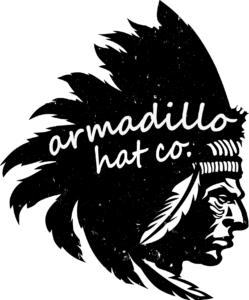 Have you had any feedback yet from Mr Mayer about it? Lindsay: Not yet! I’m terrified about that! I told Kristian! I’m scared for John to hear it. Interestingly, you can hear those influences in your music. I wanted to talk a little more about guitar because it’s so cool to see a female guitar icon in the spotlight. Do you think that the guitar is as big a part of your musical identify as anything else? Lindsay: Yeah. Piano is my first instrument, I started playing it when I was six years old, I started guitar when I was eight and it’s just cooler! I could do more and express myself better on it so I just started playing guitar and was kind of a nerd about it. That’s all I did in my childhood, just sat in my bedroom and played guitar so a huge part of how I start writing songs and perform onstage is guitar. I will say thank you to Kristian as he has helped me see myself as more than just a guitar player. It’s a huge part of my musicality but when I look at some of my favourite artists, it’s the way that they sing and write their songs and the way that they play and when all of those things mould together and you’re like “oh yeah, this is awesome!”. That’s what I’m working on. Kristian: We would both like to say thank you! Lindsay: You chose the one song on the album that Kristian and I wrote together! Really? I didn’t even know that! There’s a real Sheryl Crow vibe to that. Would you site her as an influence? Lindsay: Yeah, absolutely. In our first meeting we talked about Tuesday Night Music Club because it stands on its own as this cool thing and when you put it under a genre it just stands on its own. A lot of people love it just because it’s cool. I said “let’s make an album like that!” and I think we kind of did! Kristian: It’s funny, I hadn’t thought about that until you just said it. That’s the wish! My final question is for you, Kristian. When do you think we’re going to see that new Sugarland record? Kristian: We’re finished making it, it’s now the record company’s problem! If the amount of emails I’m getting a day is any indication it’ll probably be sooner rather than later! Brilliant. It’s been awesome having you guys in the UK, not just for C2C but this tour too. Can we expect to see you both come back in your own separate roles in the near future? Kristian: You know, it feels like this is something really special that we would want to make sure we kindle within ourselves over and over again so it wouldn’t surprise me!